The newly crowned Miss Universe Spain, Angela Ponce, stirred social media, becoming the first transgender person to get the title in her country. Ponce, who is originally from Seville, had already taken part in the country’s Miss World Spain beauty pageant in 2015, but failed to secure the winner’s crown. After being crowned Miss Universe Spain, she thanked those who supported her and voiced her commitment to promoting equal rights for the LGBTQ+ community. Many shared support for the future Miss Universe contestant, wishing good luck to the first transgender to compete in the pageant in December 2018, according to media reports. Some sympathized with other contestants who lost to Ponce. There were those who protested letting her join the world’s competition. The Miss Universe beauty pageant ended a ban on transgender competitors in 2012. Around that time one of the potential contestants, Canadian transgender model Jenna Talackova, threatened the Miss Universe beauty pageant, then owned by incumbent US President Donald Trump, with legal prosecution. According to her, she was told that Canada’s Miss Universe pageant was only open to “naturally born females.” However, the contest’s organizers insisted the change was made in spite of the looming suit. Not surprisingly, Trump’s meetings with NATO and Putin are being portrayed as ominous events by Russiagaters. As Cohen pointed out in previous discussions, US-Russian (Soviet and post-Soviet) summits are a long tradition going back to FDR’s wartime meeting with Stalin in Yalta in 1943. Every American president since FDR met with a Kremlin leader in a summit-style format at least once, several doing so multiple times. The purpose was always to resolve conflicts and enhance cooperation in relations between the two countries. Some summits succeeded, some did not, but all were thought to be an essential aspect of White House-Kremlin relations. Not surprisingly, Trump’s dreaded visit to the NATO summit has only inflated the uncritical cult of that organization, which has been in search of a purpose and ever more funding since the end of the Soviet Union in 1991. The New York Times declares that NATO is “the core of an American-led liberal world order,” an assertion that might startle many of the non-military institutions involved and even some liberals. No less puzzling is the ritualistic characterization of NATO as “the greatest military alliance in history.” It has never—thankfully—gone to war as an alliance, only a few “willing” member (and would-be member) states under US leadership. Even then, what counts as “great victories”? The police action in the Balkans in the 1990s? The disasters in the aftermath of Iraq and Libya? The longest, still-ongoing American war in history, in Afghanistan? NATO’s only real mission since the 1990s has been expanding to Russia’s borders, and that has resulted in less, not more, security for all concerned, as is evident today. The only “Russian threat” since the end of the Soviet Union is one provoked by the US-led NATO itself, from Georgia and Ukraine to the Baltic states. And only NATO’s vast corporate bureaucracy, its some 4,000 employees housed in its new $1.2 billion headquarters in Brussels, and US and other weapons manufacturers who gain from each new member state, have profited. But none of this can be discussed in the mainstream, because Trump uttered a few words questioning NATO’s role and funding, even though the subject has been on the agenda of several think tanks since the 1990s. Nor is the unreasonably demonized Putin without constraints at home, though none like those that may cripple Trump. The Kremlin’s long-postponed decision to raise the pension age for Russian men and women has caused his popular ratings, though still high, to drop some 8 to 10 percent in recent weeks. More significantly, segments of the Russian military-security establishment do not trust Putin’s admitted “illusions” about negotiating with Washington in the past. And like their American counterparts, they do not trust Trump, whom they too view as unreliable, if not capricious. These Russian “hard-liners” have made their concerns known publicly, and Putin must take them into account. As has been a function of summits over the decades, he is seeking in Trump a reliable national-security partner. Given the constraints on Trump and his proclivities, Putin too is taking a risk, and he knows it. Even if nothing more specific is achieved, everyone who cares about American and international security should hope that the Trump-Putin summit results at least in a restoration of the diplomatic process, the longstanding “contacts,” between Washington and Moscow that have been greatly diminished, if not destroyed, by the new Cold War and by Russiagate allegations. Cold War without diplomacy is a recipe for actual war. We should also hope that the Democratic Party’s reaction to the summit, in its pursuit of Trump, does not make it the party of unrelenting Cold War, as it may be already becoming. The Maryland congressman exposed the absolute absurdity of Republican attempts to derail inquiries into wrongdoing by the Trump campaign. FBI agent Peter Strzok did not need help shaming Trey Gowdy and the other Republicans at Thursday’s Joint House Judiciary and Oversight Committee hearing on allegations that the veteran FBI counterintelligence agent had led an inquiry into foreign meddling in the 2016 election that was biased against Donald Trump. But the most powerful moment in day-long hearing did not result from any of the wild lines of questioning produced by the likes of Texas Congressman Louie Gohmert—nor from Strzok’s takedowns of off-the-rails committee members. The exchange that shredded the committee’s absurd focus on a handful of texts Strzok had exchanged with FBI lawyer Lisa Page came courtesy of one of the sharpest lawyers in Congress, Maryland Congressman Jamie Raskin. Raskin began his remarks by explaining why the hearing was really taking place. 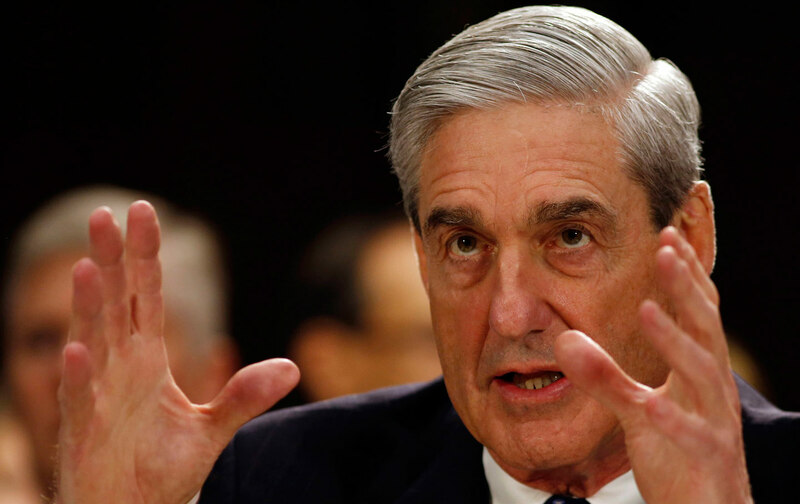 “The purpose, of course, is to derail and discredit the investigation by the special counsel that has obtained 19 indictments and five criminal convictions,” he said, referencing the investigation into wrongdoing by Trump associates that is being led by special counsel Robert Mueller. Noting that Strzok had, in his personal texts, been an “equal opportunity insulter” of Democrats and Republicans, the veteran law professor argued that, while some of the texts might have been nasty, they could not reasonably or responsibly be reimagined as evidence of conspiratorial wrongdoing. 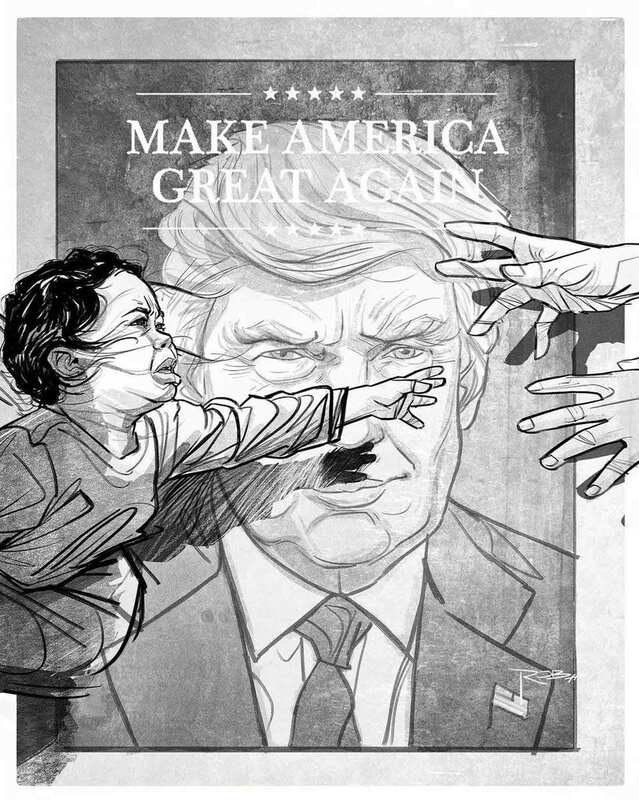 “There are no kings here and we have freedom of speech—the right that is cherished by the people and feared only by tyrants. But my colleagues have insisted on making a conspiracy theory out of your pillow-talk texts,” said Raskin. But there are a couple facts they can’t get around. Number one, the IG found no partisan biasaffecting the official investigation. Number two, Attorney General Sessions is a Republican appointed by Donald Trump, Rod Rosenstein is a Republican appointed by Donald Trump, James Comey is a Republican appointed by Donald Trump, FBI director Wray is a Republican appointed by Donald Trump, and Robert Mueller is a life-long Republican. So this would have to be a Republican conspiracy. So I’m looking for evidence of the Republican conspiracy and all I could find were the kind of statements that you have been arraigned on today. “In the October of 2016, Speaker Paul Ryan said, ‘I am not going to defend Donald Trump—not now, not in the future.’ Was this fleeting outburst of moral courage part of a deep-state conspiracy that you organized? “No,” replied an amused Strzok. That was true enough. 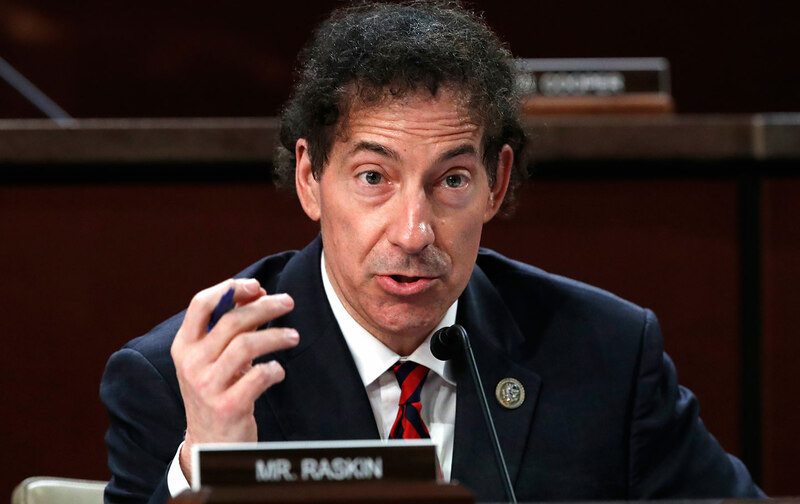 But it was even more true that Raskin had risen above the chaos and shined, as the rare member of Congress who is capable of combining sharp insights and a wry sense of the absurd to devastating effect. Not long ago a journalist approached me out of the blue to do an interview about my impressions of Robert Mueller. At first the name didn’t ring a bell; it never crossed my mind that he might be referring to the Robert Mueller. You can imagine my surprise when this same journalist told me not only that he was referring to the special counsel appointed to investigate wrongdoing during the Trump presidential campaign but that Mueller had been my thesis advisee at Princeton 52 years ago. His essay addressed a seemingly technical issue: the authority of the World Court to decide a case involving the extension of South African apartheid to South West Africa (Namibia). Mueller’s thesis was an unusually perceptive analysis of a controversial judicial decision by the International Court of Justice (ICJ), commonly known as the World Court. Mueller approached the law and its political context in a sophisticated manner that would have been impressive if done by a law-school graduate, let alone a college student who, as far as I know, had not yet opened a law book. Until the 1966 World Court case, South West Africa was primarily known for the extreme nature of German colonial rule under the personal authority of the father of Hermann Göring, regarded as an ugly and prophetic prelude of the Nazi era. What makes the Mueller approach in his thesis relevant for today is that the core of his inquiry is how a judge should interpret a legal document, which raises the jurisprudential question of whether law can be understood apart from its sociological context. This remains a subject of debate among international-law experts, with Europeans usually taking the view that law should be interpreted as autonomously as possible, by reference to the language in the text and without regard to political or moral considerations, and by refusing to heed the fact that societal values change over time in ways that might help guide an interpretation of the law. The American view, with many variations, is that the context is always relevant, as language is inherently ambiguous and reflects values and interests, and since those values and interests evolve over time, they should influence the dynamics of judicial interpretation. One factor that makes an examination of Mueller’s thesis of interest is that there is a certain institutional similarity between the ICJ case and his task as special counsel. The most striking feature of Mueller’s thesis, aside from his impressive treatment of technical legal issues, is his determined effort to explain in a fair-minded manner reasonable differences of legal opinion. What is most significant is his accompanying view that there may be instances, such as in the ICJ case, where opposing views are both based on sound legal reasoning, producing a situation in which there is no way to distinguish legal right and wrong on the merits, thus making non-legal factors such as human rights, peace, and justice potentially decisive. Yet that wider context is also one of conflicting concerns, since the court must show proper respect for sovereign rights, avoid the issuance of ineffective decisions, and not be seen as engaging in judicial legislation. Mueller impressively depicts this delicate balance. The Category 5 hurricane that ripped through the Caribbean last fall not only caused nearly 5,000 deaths, but also exposed the fragility of the island’s social, political, and economic underpinnings. The truth behind Maria’s devastation and the United States’ laggard response to the hurricane lies in centuries of colonial exploitation—first by Spain and then by the United States—and in its perpetual subjugation to the whims of American elites. There is little that distinguishes Puerto Rico from an American colony. Since its acquisition of the island in 1898, the United States has gradually stripped Puerto Rico of any political agency through a web of legal cases, laws, and arbitrary categorizations intended to keep the island politically weak, and economically dependent on mainland products—and its poor, brown, “foreign” population distanced from their mainland compatriots. Hurricane Maria exposed for the world to see what Puerto Ricans have known for centuries: Washington treats Puerto Rico as little more than a captive market from which the United States extracts profits. Although Puerto Rico is an island bathed in sunlight and lashed by winds and waves, it imports 98 percent of its energy from mainland fossil-fuel companies. And despite its fertile soil and lush tropical landscape, Puerto Rico buys around 90 percent of its food from mainland agribusiness companies. When Hurricane Maria hit Puerto Rico last September, it eviscerated fields of monocrops and shattered Puerto Rico’s already derelict electric grid. 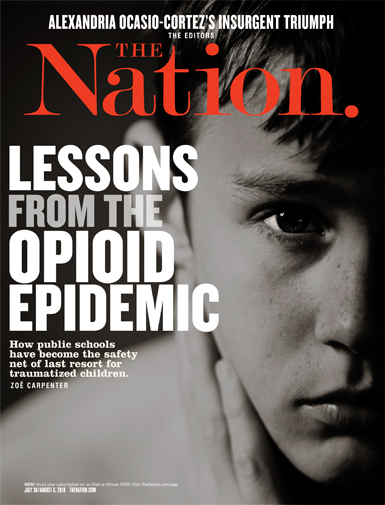 Many of the almost 5,000 deaths that resulted from Maria were due not to the storm’s whipping winds or flash flooding, but to the mass power outages and food shortages that ensued, a result of the government’s closing of hospitals and neglect of the electric grid, necessitated by US-imposed austerity measures. Despite its catastrophic impacts, Hurricane Maria provides a kind of tabula rasa upon which a new, economically regenerative, and politically empowered Puerto Rico can be built. Several international and local organizations are already working in Puerto Rico to transition it away from an extractive and mainland-dependent economy and toward a self-sufficient, socially just, and ecologically sound one—while at the same time enhancing local economies, reclaiming sovereignty, and boosting climate resilience. “When Puerto Rico experienced the effects of Maria,” Resilient Power Puerto Rico, a grassroots relief effort that began hours after Maria hit the island, promotes energy democracy in post-Maria Puerto Rico by distributing solar-powered generators to remote parts of the island. The Just Transition Alliance, Climate Justice Alliance, and Greenpeace have also sent brigades to install solar panels across the island. Solar energy reduces the carbon emissions that fueled Maria’s intensity and makes Puerto Rico more resilient against the next climate-charged storm. A decentralized, renewable energy grid—which allows solar users to plug into or remain independent of the larger grid as necessary—combats Puerto Rico’s dependence on mainland fossil fuels. It also democratizes Puerto Rico’s energy supply, placing power (literally and metaphorically) in the hands of Puerto Ricans rather than fossil-fuel corporations. 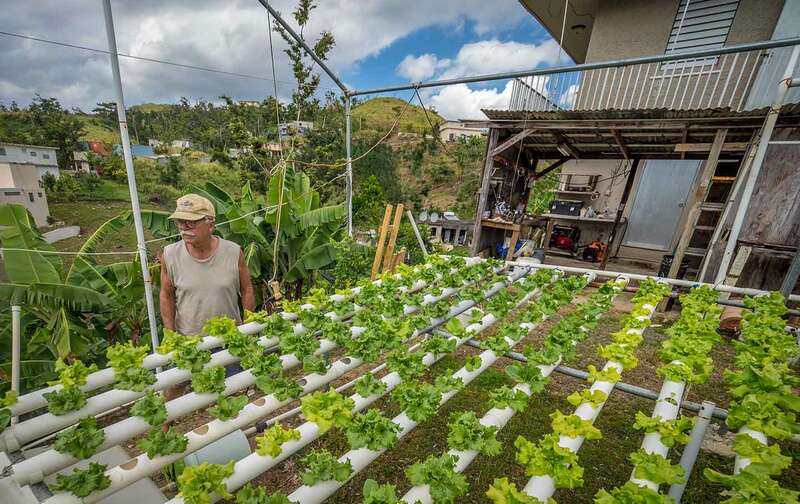 Another aspect of Puerto Rico’s “just recovery” is food sovereignty, a movement to promote community-controlled agricultural cooperatives that grow food for local consumption and thus counter Puerto Rico’s reliance on the food industry. The Organización Boricuá de Agricultura Ecológicaencourages food sovereignty through “agroecology,” a method that revives local agriculture through traditional farming methods, rather than the monoculture system put in place by US colonists. By rejecting the larger food system and focusing on self-sufficiency, agroecology allows Puerto Ricans to reclaim the political and economy agency the United States denies them. The Organización sends brigades that deliver seeds for community members to plant. By stimulating local production, agroecology also reduces the carbon pollution emitted from ships transporting food to Puerto Rico, and moreover acts as a local carbon sink. As the Atlantic Ocean incubates another hurricane season, the people of Puerto Rico are rebuilding their island in a way that not only enhances climate resilience, but also reclaims their political power. The island they are creating—one that is socially just, ecologically sustainable, and politically empowered—is an inspiring model for a just, sustainable future. One that is definitively not American-made. Rob JacobsTWITTERRob Jacobs is a 38 year-old illustrator and designer living and working in Rotterdam, the Netherlands. Previous Post Lilia Vtyrina: ……………….Βίντεο: Συντριπτικό κτύπημα του ΡΚΚ …….Δάρδανοι και Μακεδόνες…………. Next Post France 4-2 Croatia – Les Bleus ease past courageous Croatia to World Cup victory in Moscow…………..